This post, The Rhetoric Stage of Classical Education Exposed in The Conversation, was made possible with the chance to review The Conversation from Classical Conversations as part of the Schoolhouse Review Crew. If you talk to a group of homeschool parents about why they homeschool, you will get a variety of answers. The same would happen if asking about how they homeschool their kids. There are many different ways to approach learning whether in a home or school environment. One such method of learning is known as classical education. While I have read some basics in books or on websites, I never felt like I fully grasped what it would look like. This is especially true for the rhetoric stage of classical education which occurs during the high school years. What is the Rhetoric Stage of Classical Education? My best description or definition of classical education is one that challenges a child to think and respond rather than absorb and regurgitate. In many ways, this is the style of learning that I would have thoroughly enjoyed as a child as it would feed my personal thirst for knowledge as well as the desire to dig deeper into the how and why of things. Best yet, it is the desire to then share what I have learned with others whether in oral or written form. Classical Conversations upholds the three stages of classical education: grammar, logic and rhetoric. During the grammar stage, students are basically learning the vocabulary of subjects. When you learn to read, you start by learning your letters and the sounds they make. In math, you begin by recognizing numbers and how the written number translates to the physical (e.g. the number 2 can show how many cookies are left in the cookie jar.) Everything done in this stage serves as a building block for future learning. The dialectic stage occurs when the knowledge gained during the grammar stage can be applied to the process of sorting, comparing and understanding material across the main subject areas. Typically this is when the kids are around 10 to 13 years of age (or 5th through 8th grade) and beginning to notice more connections and patterns of logic. If using the learning to read example, this would be when a student learns string together letters to form words and then combine words to form sentences. Finally, the rhetoric stage of classical education has the student taking all they have learned and applying it to solving a problem they encounter. With that reading example, this is when your reader goes beyond the mechanics of reading material and starts to notice the intricacies of the writing. Students take the approach in all subject areas and by the end are ready to learn and thrive in their chosen profession. How does The Conversation Cover the Rhetoric Stage of Classical Education? In 254 pages, Leigh A. Bortins seeks to take the reader through the methodology of the rhetoric stage of classical education with practical examples from her own experience. Mrs. Bortins has graduated 2 sons already and mentored several other students through Classical Conversations which she founded. This is the third book written for home educators with the previous titles, The Core and The Question, covering the grammar and dialectic stages. She begins by trying to set the reader’s mind at ease over the sometimes weighty decision to homeschool a student through high school. This is followed by a chapter which seeks to explain what the rhetoric stage is and isn’t including the 5 cannons: Invention, Arrangement, Elocution, Memory and Delivery. Each of the main subjects receives its own chapter with a lovely chart showing how to use the 5 cannons of rhetoric. The subjects covered include Reading, Speech and Debate, Writing, Science, Math, Government and Economics, History, Latin and Foreign Languages, and the Fine Arts. When providing examples of how to use the cannons, Mrs. Bortins draws from her personal experience including conversations that occurred (or might have occurred) while serving as a mentor to a group of students. For someone like myself who has spent little time really delving into the intricacies of classical education, this is a phenomenal resource. Mrs. Bortins eloquently describes not only what the rhetoric stage IS, but then walks you through all the major subject categories without coming across as academic or aloof. While it is not a difficult read, the book is not something that you can just knock out over a long weekend. Rather, I found myself reading up to a chapter at a time and then taking a break for my brain to mull over what I had read and contemplate how I could possibly apply it in our homeschool. Trying to read any faster would have left my brain a bit jumbled as there is so much to digest. What I found is that I am really drawn to many aspects of this approach. 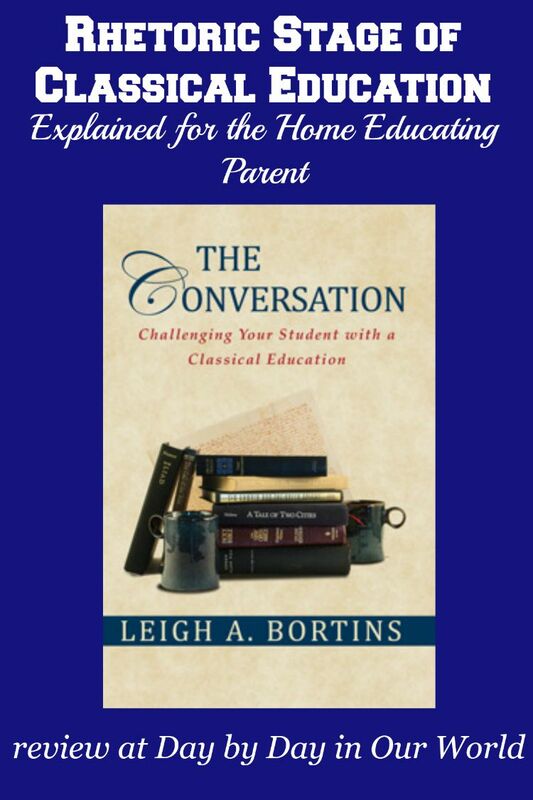 Yet, knowing how challenging it would be to teach a single student in each of the stages, I recognize the need to gather with other home educators in a community like Classical Conversations provides. This is an approach several friends have elected to take and I am now searching for local options to see if it would fit into our home school schedule. Other friends have elected to send their children to a small K-12 Catholic school in Anchorage which teaches with a classical education approach. I really enjoyed her concluding chapter titled “A Graduation Conversation” and the epilogue titled “Looking Back, Looking Ahead.” My eldest just graduated from high school and looking back I can see that we did fall into the trap of just trying to check off some of the boxes. That doesn’t mean he can’t think for himself. Instead, I feel like some subjects lacked the great conversations that could have and should have happened. What I can hope is to learn from what we’ve done and make modifications as needed for the younger boys. Regardless of approach, the ultimate goal is to help them get closer to our eternal reward of heaven. 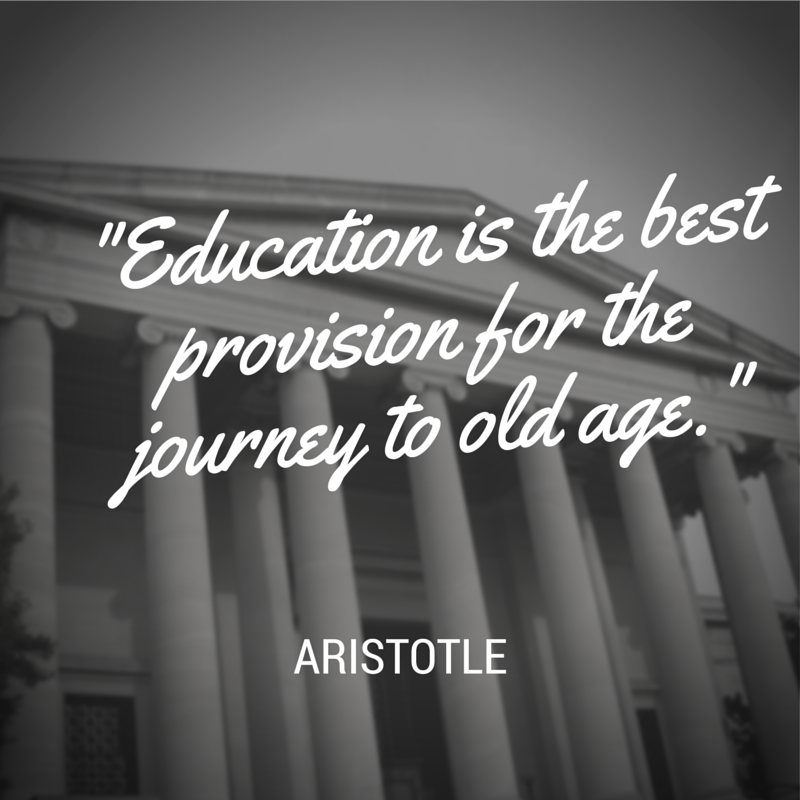 Have you tried a classical education approach in your home? Are you familiar with Classical Conversations or are a participant in a local group? Don’t just take my word for how we found this to be. Visit the The Conversation Review post on the Schoolhouse Review Crew website to see what other homeschooling parents thought about this and other self-paced courses. Wow this is all so interesting! I don't know I'd ever decide to homeschool my potential future kids (haha) but interesting to read regardless!